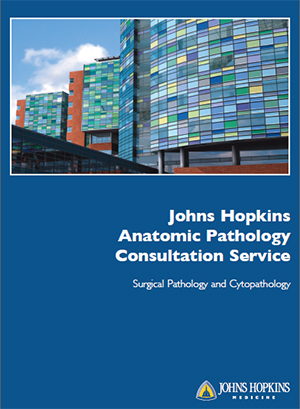 The Johns Hopkins Medical Laboratory provides world-recognized expertise in Surgical Pathology and Cytopathology consultation. Our pathologists accept traditional glass slide second opinion consultations or digitally scanned whole slides. Digital consults may be submitted to Johns Hopkins Pathology by contacting npetro1@jhmi.edu to set up an account. If you are a pathologist or clinician/physician, please complete the Consultation request form. Gynecological Pathology Brigitte Ronnett, MD; Russell Vang, MD; Deyin Xing, M.D., Ph.D.
Head & Neck Pathology Lisa Rooper, M.D. For all dermatopathology-related information, please visit the Johns Hopkins Dermatopathology site.